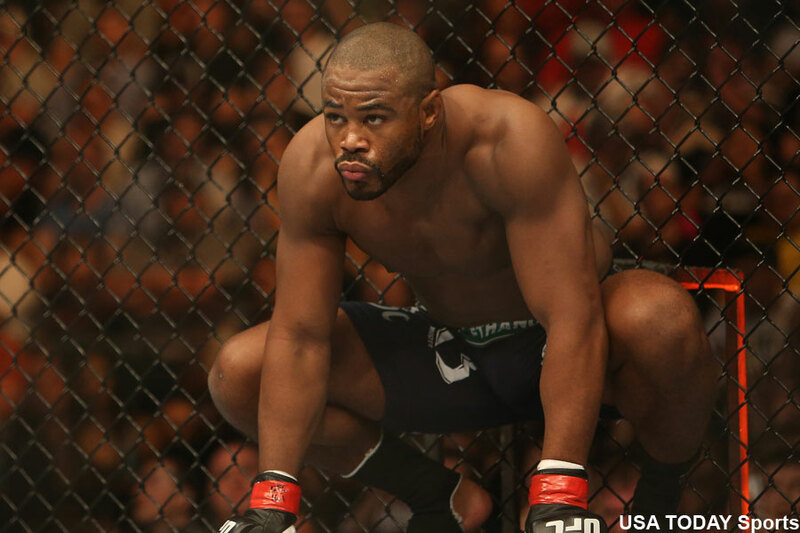 Former UFC light heavyweight champion Rashad Evans (pictured) can’t seem to get a license. For the second time in as many weeks, Evans was denied a fight license to face Tim Kennedy. Evans was initially slated to make his middleweight debut against Kennedy at UFC 205, but he was abruptly pulled from the UFC’s debut in the NYC just days before showtime due to an MRI issue. The bout was promptly rescheduled for UFC 206 on December 10. However, it was revealed Monday by Evans’ manager, Ali Abdel-Aziz, the Office of the Athletics Commission in Ontario, the committee sanctioning UFC 206, followed the New York State Athletic Commission’s lead by denying his client a license. It is unknown why Evans was declined this time around, but Abdel-Aziz claims Evans is perfectly healthy. The UFC have not addressed Evans’ latest setback. Evans was last seen in April getting knocked out cold by Glover Teixeira in just 108 seconds. It was Evans’ fourth loss in his past six outings, including two straight. The 37-year-old was hoping to rejuvenate his career at a lighter weight. He looked absolutely shredded during UFC 206 fight week.